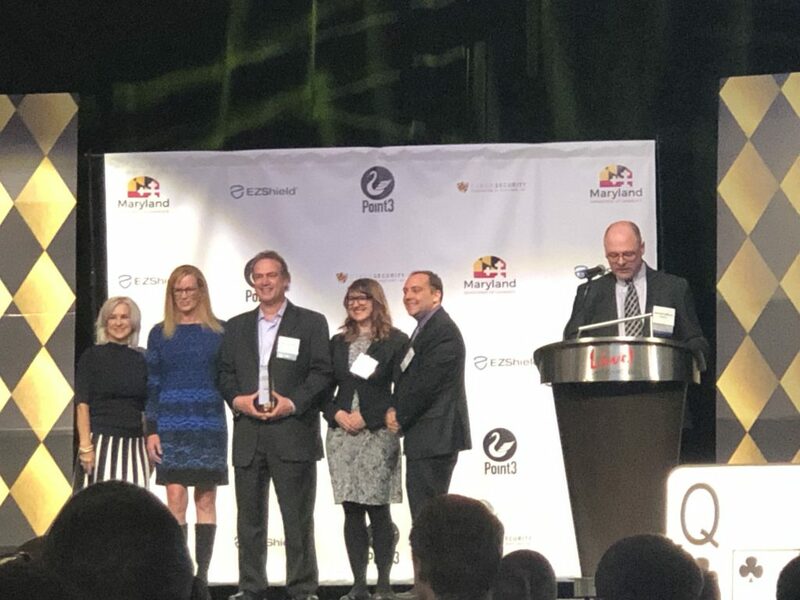 April 12, 2019 (Baltimore, MD): AboutWeb was honored to receive the 2019 Cybersecurity Diversity Trailblazer award at last night’s 2019 Maryland Cybersecurity Awards. The Diversity Trailblazer award recognizes a company or organization that has worked to make careers in the Maryland cybersecurity industry more accessible to underrepresented groups or underserved markets. AboutWeb was founded in 1998, and is a leading provider of cybersecurity solutions, information technology consulting, and product development. Our areas of expertise include IT solutions, IT training, and IT development.Additionally, AboutWeb is a social enterprise company. Through our AboutWeb Cares program, we are fulfilling our social mission by providing paid IT training and professional development to people from economic empowerment zones. To find out more, please visit www.aboutwebcares.com, or email awcares@aboutweb.com.